The promotion of building culture and commissioning is an international topic of heated debate worldwide. In the United States courses for Mayors as city planners are organized. 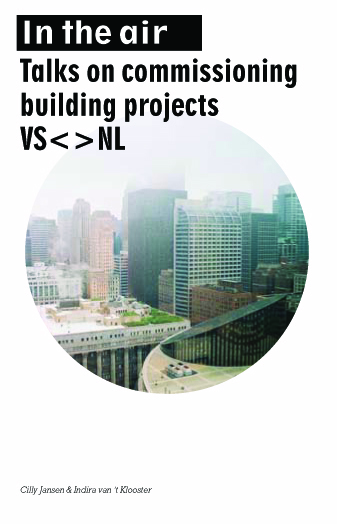 Architectuur Lokaal talked with the Mayor's Institute on City Design, the think-tank Brookings Institute, the The Patron of the Year Award for commissioners in Chicago and many other institutions in Washington and Chicago. The booklet In the Air, talks on building culture US <> NL is a snapshot of building during a period of economic recession in the US in 14 interviews: with architects, public commissioners, project developers and investors, journalists and architecture organizations, advisors and lawyers, about the informal power of bloggers, community development, ethics in architecture, trade in air rights, and renewed attention for walkable urbanism. 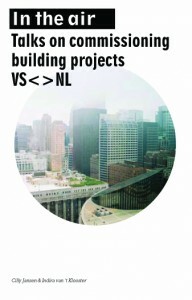 Both editions are sold out, but can be consulted in the library of Architectuur Lokaal.